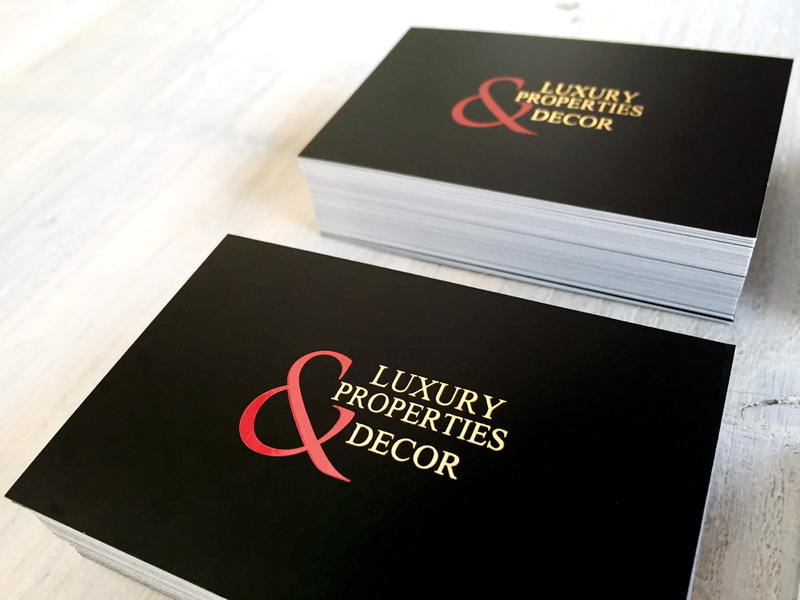 The real estate Luxury Properties & Decor, established in Marbella and Benalmadena, contacted us again to renew and print its business card. They came to us with their own design and we opted to made some adjustments but respecting the initial idea. 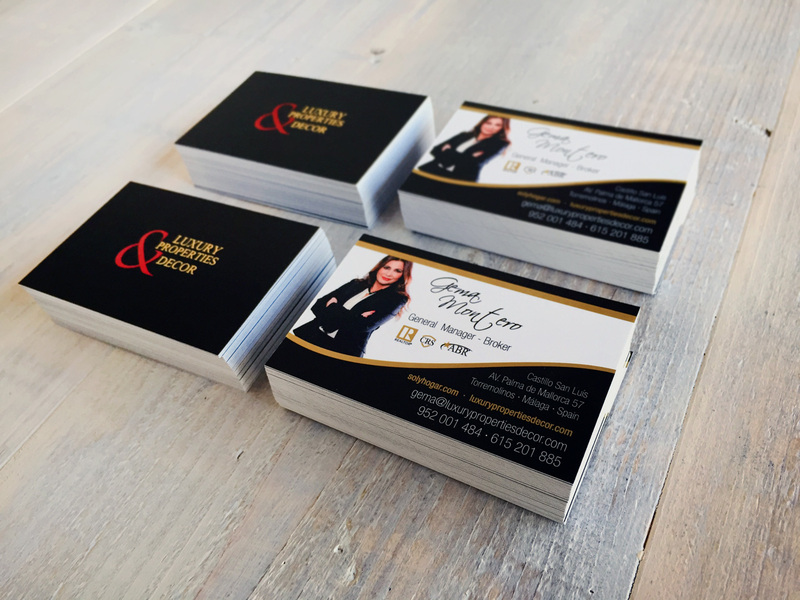 We contacted with our printers to offer them a wide selection of finishes and exclusive effects such us gold stamping, metallic inks, impossible UVI varnishing and very special matte laminate papers.